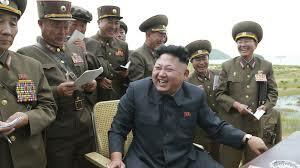 North Korea is accusing the US of spreading the Ebola virus, claiming it has been “bent on the development of bio-weapons” in order to achieve world supremacy according to the online version Independent a UK based Newspaper. A report by the Korean Central News Agency (KCNA) is said to be claiming that an aide to ex-President Reagan informed them the US had invented a progenitor of Ebola virus “for the purpose of launching a biological warfare”. The aide was named as Roberts, who sources said could be a reference to Paul Craig Roberts, an economist. Mr Roberts recently published a blog post entitled ‘Is The US Government The Master Criminal Of Our Time?’ which cited work published by two academics on Ebola. The article said the US had given $140 million (£89 million) to a pharmaceutical company for research into the virus and chose Africa as a bio-weapon testing ground. It credited this claim to an unnamed Liberian professor. It also claimed that the “US Department of Health and Human Services” admitted that the US “imperialists” have long conducted “vivisections with fatal epidemics, inflicting untold sufferings on mankind”.